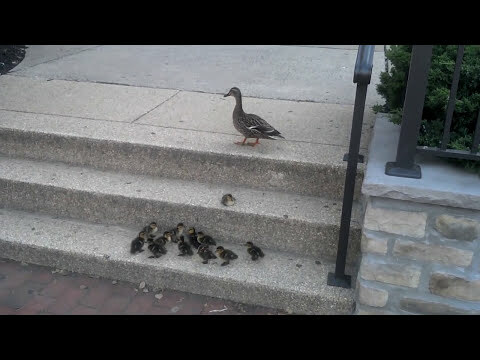 A mother duck looks on while twelve of her adorable ducklings attempt to overcome what is to them a very large obstacle, the stairs. Will they make it? Watch and find out! This fantastic video on these small ducklings teaches us an important lesson in life, that is to try repeatedly even though we fail many times. There is so much to learn from this world. Thank you for such an inspiring video.